What is a tummy tuck? Also known as abdominoplasty, a tummy tuck removes excess fat and skin, and in most cases restores weakened or separated muscles creating an abdominal profile that is smoother and firmer. 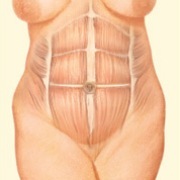 Tummy tucks were one of the top five surgical cosmetic procedures performed in 2009. 115,191 people had a tummy tuck in 2009. The success and safety of your tummy tuck procedure depends very much on your complete candidness during your consultation before tummy tuck surgery. You’ll be asked a number of questions about your health, desires and lifestyle. The decision to have tummy tuck surgery is extremely personal and you’ll have to decide if the benefits will achieve your goals and if the risks and potential abdominoplasty complications are acceptable. 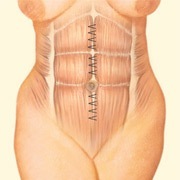 Your plastic surgeon and/or staff will explain in detail potential tummy tuck complications. You will be asked to sign consent forms to ensure that you fully understand the procedure you will undergo and any risks or potential complications. Cost is always a consideration in elective surgery. Tummy tuck costs can vary widely. A surgeon’s cost for a tummy tuck may vary based on his or her experience, the type of procedure used, as well as geographic office location. 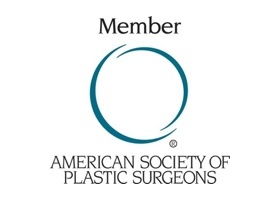 Many plastic surgeons offer financing plans to help patients cover the cost of abdominoplasty surgery, so be sure to ask. Use this checklist of tummy tuck questions during your consultation.